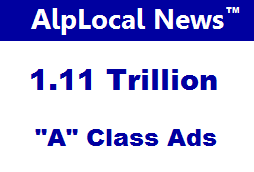 1.11 Trillion A Class Mobile Ads | Alphabet Local - Your Mobile Ads Leader! The New Generation of Mobile Ads! Alphabet Local introduces a new class of mobile advertising and business promotions. 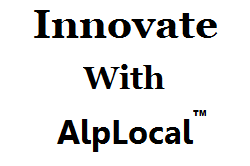 AlphabetLocal.com and AlpLocal International … the “Gold Standard” of online advertising for local and online business. AlpLocal Trillionaire Gold Mobile Ads! This platform puts the power of advertising into the hands of local business at an affordable rate. It’s called … 1.11 Trillion “A” Class … Local Mobile Ads. Why 1.11 Trillion “A” Class? Local businesses, large and small, want more choices to get their message out and we have answered their call. 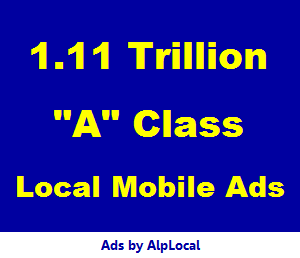 Introducing the 1.11 Trillion “A” Class … Local Mobile Ads. The New Generation of Mobile Ads is here. Yes! Some said they’ve tried a “million” ways and others said a “billion” ways without the desired results. With the 1.11 Trillion “A” Class we’ve put the power back into the hands of business owners. Now the search is over! The 1.11 Trillion A Class has arrived! Why 1.11? It’s called 1.11 because that is the total cost! That’s one dollar and eleven cents ($1.11) per year, every year for most businesses *. As an advertising platform, Alphabet Local wants you to easily connect with local customers or clients. With the premium listings, 1.11 Trillion A Class, clients can seamlessly connect with local businesses. Using the “City Search” tab from the home page, just enter your city in the search field, press enter. Tap the “Website” tab. Then look for the letter “A” to the left of any of the listings in your area and you can claim that listing as your own … 1.11 Trillion “A” Class Ad. Whether you’re a large or small business, the 1.11 Trillion “A” Class Mobile Ads will grow your business. Now the results are in. Business owners have found success using the 1.11 Trillion “A” Class Ads. Once you find your 1.11 Trillion A Class Link … you can reserve it. Put the power of local ads back into your hands. 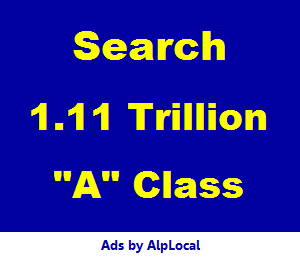 Let the 1.11 Trillion “A” Class Ads grow your business. For more information on the … 1.11 Trillion A Class … Local Mobile Ads, just connect with us using the “Need Help” tab below.